An Orange County Superior Court judge has ruled a new state law regarding aiding and abetting a murder is unconstitutional, putting a case against two defendants in a robbery turned deadly in Buena Park in legal limbo. The new law reduced the legal exposure of defendants accused of aiding and abetting a murder. Under the old law, someone along for a drive-by shooting, for instance, could be on the hook for first-degree murder, but the new law requires prosecutors to prove there was an intent to kill, the defendant was a major participant in the killing and behaved in a way that showed a reckless disregard for life. 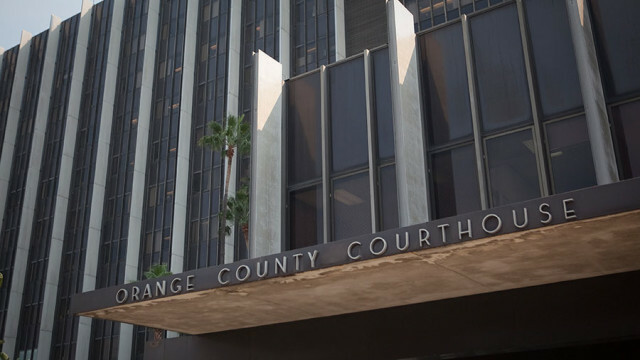 Orange County Superior Court Judge Gregg Prickett on Friday ruled SB 1437 was unconstitutional in the case against Jeffrey Tuli, 35, Aaron Jackson, 37, and Dejon Griffin, 35, who are charged with killing 24-year-old Maher Youself of La Mirada, who was gunned down about 10:30 p.m., July 1, 2016, at a gas station at 5989 Beach Blvd., Buena Park. The three are charged with murder with a special circumstance allegation of murder during a robbery. Buena Park police have alleged Yousef was targeted because he and another person he was with at the time of the shooting worked at a check cashing business. Tuli, who is the accused trigger man, is facing the death penalty. Tuli, who is being tried separately, is next due in court April 12 in the North Justice Center in Fullerton. Prickett ruled that the special circumstances murder law was approved by voters in propositions, so to overturn those laws legislators had to do so with a supermajority tally instead of a simple majority as was done with SB1437. There have been conflicting rulings elsewhere in the state on the new law, so the state Supreme Court will likely have to decide the issue. Until that’s cleared up the case against Jackson and Griffin will remain stalled, but the case against Tuli can proceed.